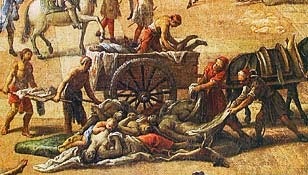 The nature of the Marseilles plague and its relationships to other historical epidemics is controversial. In 2005 two University of Liverpool researchers, Christopher Duncan and Susan Scott, published a book called Biology of plagues which argued that there were two distinct historic diseases, a viral "haemorrhagic" plague which included the Black Death and the Great Plague of London, and a contemporary "bubonic" plague, of which the epidemic in Marseilles was an example. At least part of Duncan and Scott's thesis has now been disproved since paleobiologists have found the bubonic plague bacillus Yersina pestis in remains from the Black Death and other European epidemics. Although it now seems established that historical plagues all derived from same pathogen, the virulence of the infection and detailed symptoms have varied. 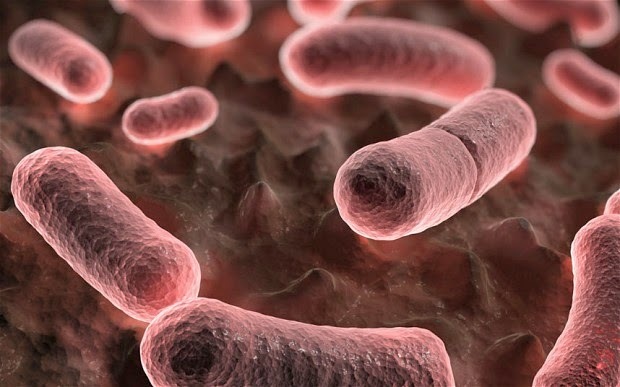 Some initial attempts have been made to map the genetic family tree of Yersina pestis - Krausse and Poinar situate the genome that they have isolated at the root of an evolutionary tree that comprises seventeen contemporary strains. Further work will no doubt illuminate the historical pattern further. Not all cases were uniform. The physician François Chicoyneau enumerated five different forms manifesting varying sequences of symptoms. A minority, whether through immunity, or the stage of the epidemic, were only mildly afflicted. Was the plague transmitted by rats? It is a commonplace of popular history that the plague was carried by black rats and their fleas. Yet anyone who reads accounts accounts from Marseilles in 1720 - as London in 1665 - will soon BE convinced that this was a contagious disease which spread rapidly and directly from person to person. The whole machinery of quarantine and cordons sanitaires rested on that assumption. Biologically the situation is complicated. Bubonic plague as it exists today is a disease of rodents, spread by fleas, which infects human beings only occasionally. Epidemics occured in the 19th-century when a substantial non-resistant rodent population - such as the black rat - was wiped out, forcing the fleas to transfer en masse to human hosts. (In contemporary accounts, the arrival of plague was often presaged by the appearance of dying rats in the streets). In its basic form, modern bubonic plague is not contagious, apart from comparatively rare "pneumonic" plague cases where the lungs are affected. But was this the case in the past or did the Marseilles plague represent a human strain of the disease? Duncan and Scott argued specifically that the 1720 Marseilles Plague was an isolated "genuine epidemic of bubonic plague" transmitted by rats. They do not have much evidence beyond the warm rat-friendly climate of the Midi and the failure of the cordon sanitaire to contain the disease. There is only one source given: a report of 1966 by Raymond Roberts to the Royal Society of Medicine which recounts that "the fishermen netted 10,000 dead rats in the harbour and dragged the corpses out to sea"[Biology of plagues,p.341].The relevant proceedings are on the internet, but I still can't find this reference. (I wonder whether it is just a garbled version of Chevalier Roze and his fishermen clearing the human corpses from the harbour?). The best circumstantial evidence for transmission by rodents is the spread of disease via ports with their rat-infested warehouses and ships. Contemporaries were especially nervous about cargoes of cloth, but it is difficult to know with what justification. (Duncan and Scott carefully dissect the famous myth that plague arrived at Eyam in Derbyshire in 1665 via a consignment of cloth; in fact the culprit was the itinerant tailor himself). In the case of the Grand-Saint-Antoine, there is no real need to look beyond the fact that eight men on board died of plague en route to Marseilles. Like modern biologists, contemporary doctors debated the mechanism for the spread of pestilence. An "environmental" thesis associated with Pierre Chirac, doctor to the regent, and François Chicoyneau, of the Faculty of Medicine in Montpellier blamed the poverty and "pestilential air" of the Midi. Chicoyneau strongly opposed the imposition of draconian quarantine measures which he saw as an infringement of liberty. The second school - which unsurprisingly included most doctors in Marseilles - supported direct contagion. Jean-Baptiste Bertrand noted that only those without first hand experience could assimilate the plague to fevers associated with malnutrition and poverty. The epidemic disproved the received wisdom that nothing is contagious of itself, for it spared no-one: "Nothing has surprised us more about this illness, than the violence and speed of contagion" (Relation historique de la peste de Marseille en 1720 (1722) p.19) Bertrand observed that it originated in clothing, furnishings and other goods, beginning with a few persons then spreading out from house to house to infect entire neighbourhoods. Duncan and Scott maintain that the relatively short incubation period they calculate for the Marseilles plague is characteristic of classic bubonic plague (Biology of plagues, p.339). But the pattern of spread of the disease is wholly consistent with the epidemic contagion that they themselves anatomise. The rate of infection began relatively slowly, then escalated exponentially The first contact between sailors and the general population was probably in mid-June, but it was not until 9th July that the doctor Peyssonnel alerted the authorities. On 23 July fourteen cases were reported; by 1st August when the cordon was put in place, cases had already escalated out of control. By this time 10,000 inhabitants had already fled. The death toll peaked rapidly, to a thousand a day by the 1st September. After this numbers began to tail off, with only a few dozen cases recorded between mid-April and mid-August 1721. A recrudescence occurred in February 1722 when full quarantine measures were brought into play. Only 194 deaths were reported in this final upswing. Of the localities outside Marseilles the worse afflicted were those concentrations of population - like Apt and Martigues - on main lines of communication outside the city. This is a pattern consistent with fleeing humans rather than rats or their fleas. Two-thirds of deaths outside Marseilles occurred within three months. Ewen Callaway, "Plague genome: The Black Death decoded" Nature 478 p. 444-66 [Pubiished online October 2011]. Yersina pestis from the Plague of Justinian, Huffington Post 27.01.2014. Olivier Dutour, Gilles Boëtsch, Dominique Chevé, Michel Signoli, " Du corps au cadavre pendant la Grande Peste de Marseille (1720-1722) : des données ostéo-archéologiques et historiques aux représentations sociales d'une épidémique"
André J. Fabre, "La Grande Peste de Marseille: confrontation avec les autres épidémie en Europe occidentale" Histoire des sciences médicales, no.1 2011 - paper delivered May 2010.